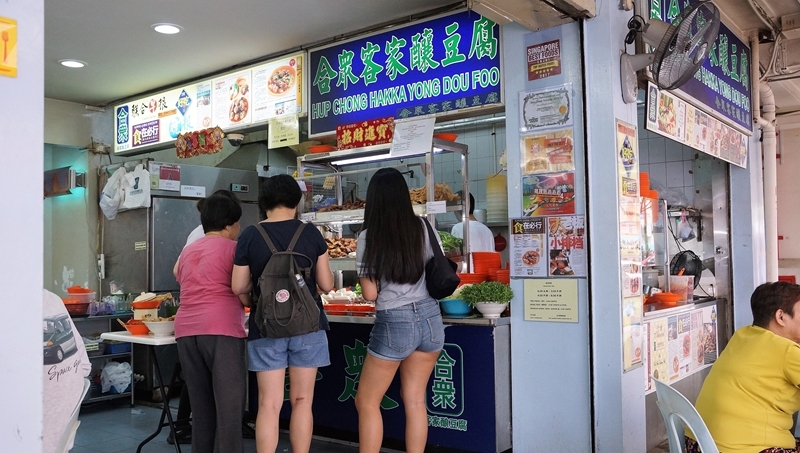 Hup Chong Hakka Yong Dou Foo has received numerous accolades for their delectable bowls of Yong Tau Foo. There is no physical queue but the perpetual queues of bowls from the customer orders waiting to be served easily made the waiting time a long stretch. 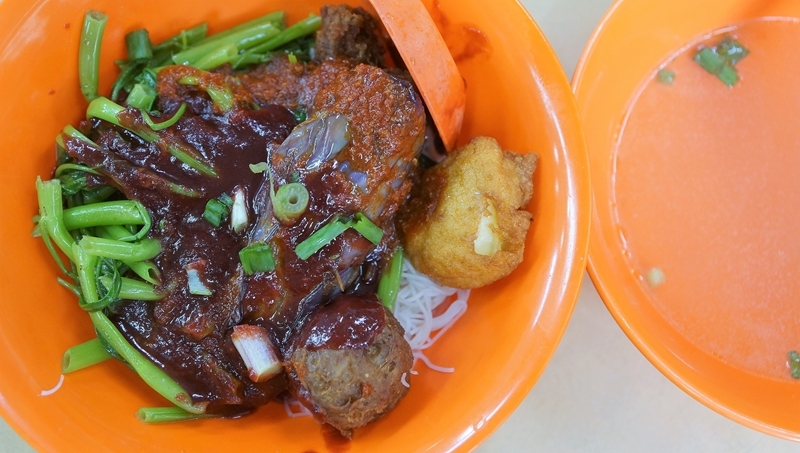 Located in Lek Chew Coffeeshop, Hup Chong Hakka Yong Dou Foo has been around for decades serving Hakka Yong Dou Foo. 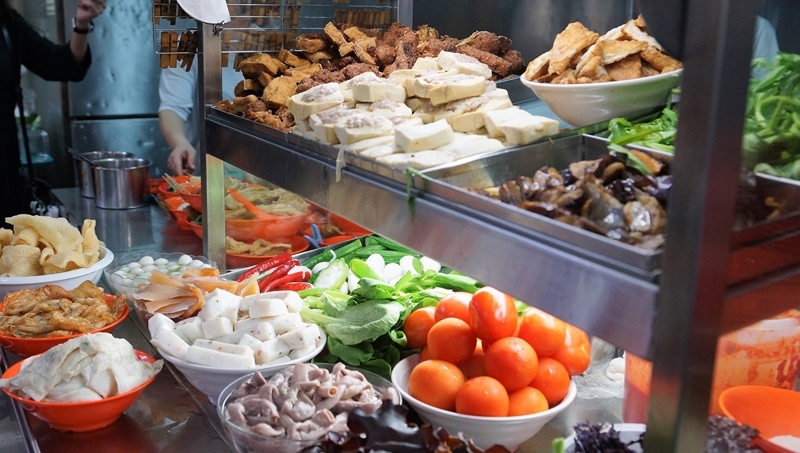 Their specialities are the deep-fried items like Wu Xiang and meatball, and you will probably miss out the best if you neglect their masterpieces. We ordered both the soup version and dry version. Undeniably, the Wu Xiang and Meatball are the McCoy here. You don’t get the usual cost-cutting quality of wu xiang with floury filling but instead, a meaty and well-seasoned concoction that is highly addictive. The meatball has given the Wu Xiang a good run with its great taste and we have a strong temptation to order again. Hup Chong Hakka Yong Dou Foo has not neglected the rest of the items on their shelves, from the fishcake to the non-fried meatball, every item has their merits. 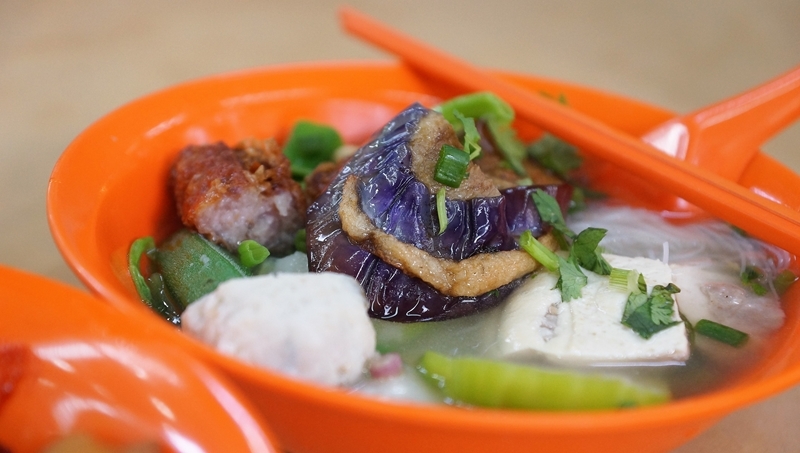 While the Yong Dou Foo soup was not bad, it was not the best in our opinion. The sweetness and fragrance from the essence of the ingredients have not fully been extracted and presented the soup. If we are craving for some good Yong Dou Foo, Hup Chong Hakka Yong Dou Foo is certainly on our list. Maybe the addictive fried stuff we loved contradicts the concept of this supposedly healthy dish, but how to resist?